I can’t help but sometimes judge books by their cover. I know it isn’t fair to the author, but it is a marketing ploy. If you have a book that’s aesthetically pleasing, it is more likely that someone is going to pick up your book out of curiosity; that’s just the way it is. I admit to being a victim of this marketing scheme. 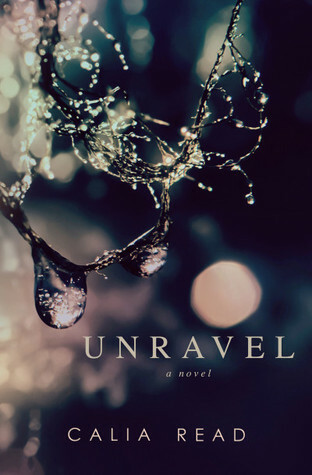 Unravel just had one of these covers that caught my eye. I found the summary a bit vague but I was still curious in the end. See, that’s how they get you. Unravel is a novel shrouded in mystery that pulls you deeper with every turn of the page. It isn’t until the last few pages that the story finally reveals its true nature, and I wonder if anyone will see it coming. Naomi’s life has spiralled out of control when she wakes up in a mental institution called Fairfax. Several months later she’s made no progress, hears voices in her head, and is starting to believe that truth and reality is starting to blur together. With the help from her new doctor, Naomi begins to unravel the mysteries that led her to Fairfax and the truth she’s desperate to learn. Back from college for the summer, young Naomi Carradine decides to spend her vacation with her best friend, Lana. While at a party Lana’s parents are hosing, Naomi meets a young and upcoming stockbroker named Max who becomes everything to her with just one look. While wandering around, Naomi walks in on something that she can’t soon forget, and that one simple act will change the course of her summer forever. I always like to try to associate books with one word or one sentence if I can manage it. If I had to associate Unravel with one word it’d probably be: confusing. A lot of elements of this book reminded me of sci-fi novels and the idea of Time Travel or going back in time. There are so many plot holes and things that don’t match up, things that change just by being in the past. To quote one of my favourite movies, Push, “The future can change just by knowing it.” Of course that doesn’t mean it will. I found Unravel mysterious, dark, and complicated. When I reached the end I had to read the last several pages a few times to make sure I understood everything that I’d just read. Perhaps I missed something, perhaps I didn’t understand… This would definitely be a book that I’d have to read over a second time to understand it better than the first. Everyone in this book serves as a typical literary archetype. The protagonist, the white knight, the villain, the victim, the healer, etc. I didn’t feel…that this book had any depth in the story or the characters and found it extremely difficult to be emotionally attached to anyone or to feel anything. If anything I wanted to slap a character across the face for being useless. Perhaps this wasn’t the right book to read at the time but it was a quick read and it was a one-shot sitting on my shelf so why not right? Don’t let pretty covers fool you. Don’t get me wrong, I enjoyed the twists that revealed themselves at the end of the novel, however I would have liked there to have been more depth and perhaps more of an explanation concerning Naomi and Lana. If you’re looking for a dark one-shot novel, this is an easy read, that will definitely leave you perplexed.